With summer just around the corner, you might be on the hunt for the perfect summer hat. Whether you would be opting for a fedora, Panama or floppy hat, the choice is quite vast and you would certainly be able to find something for everyone. For the summer the hat is automatically a trendy accessory and it is quite practical at the same time as it shields the face, eyes and hair from the harsh rays of the sun. If you already own hats and are seeking how to pair these, the looks below might give you some ideas. Nothing beat a classic look. The ultimate all-American look is to wear a floppy hat with a striped fitted dress. The dress can be chosen quite short and paired with Converse-style sneakers for the most casual look. Channel the ultimate casual Mediterranean look with a light button-down shirt paired with denim shorts. 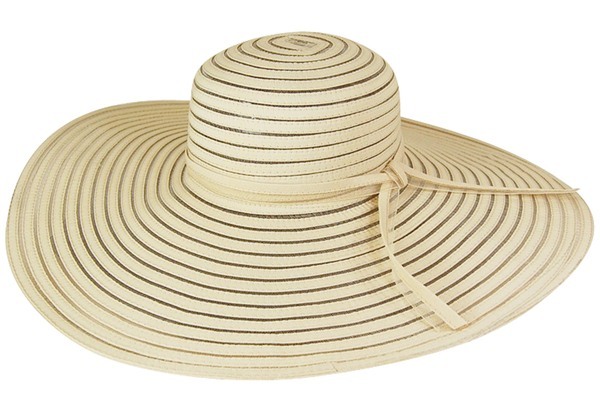 The hat to go for would be a panama as it really exudes of the chic vibes of summer. This look is quite easy to put together. The ideal place to wear a summer hat would be on the beach. A large floppy hat can be chosen to complement your bathing suit. The look can be paired with a large duffel beach bag and a pair of beach sandals along with sunglasses. The panama looks good with either a loose dress or a kimono. This guarantees a trendy and casual chic look for daytime summer events. Fall is generally accompanied with the first chills of the year and a jacket would be crucial when going out. When choosing the ideal jacket for fall, you would need to consider whether you would be receiving adequate protection from the material chosen. Moreover, when it comes to keeping warm, if the right material is chosen, the jacket would no longer need to be bulky and uncomfortable. The tips below might come handy in choosing the best jacket for fall. Polyester and acrylic are found almost everywhere and these materials are still trendy. For fall, opting for jackets that have close fit would yield the best effect and not bulk up the body. These types of jackets look good on almost all body types and the material does not require extra care, making it easy to maintain. Leather and the synthetic version is always considered as a timeless material. While faux leather might have gone out of style in the nineties, in recent years, it has been brought back to life through modern designs in blazers for women. For a trendy look, you might want to opt for a charcoal grey faux leather jacket. Wool is by far the most widespread material when it comes to beating the cold weather. For this coming season, preferred colors would be burgundy tones. Double-breasted jackets are perfect for cold seasons due to the extra protection that they provide. Jacket Society is an online fashion start up. Their website features advices on choosing designer jackets for women as well as a selection of FALL JACKETS FOR WOMEN.